Fear not, muggle-born witches and wizards! 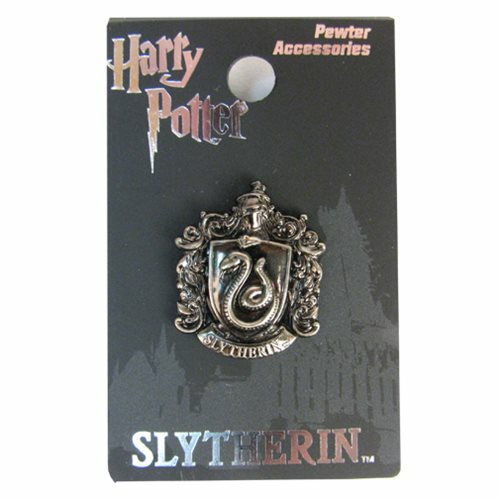 Show your Hogwarts house pride with this Harry Potter Slytherin Pewter Lapel Pin. It's the perfect size to display on your shirt lapel, backpack, or just about anywhere else! Measures 1-inch by 1-inch. Ages 13 and up.